My head is in transit, as the Eisenbergs will be heading to the airport in two days. 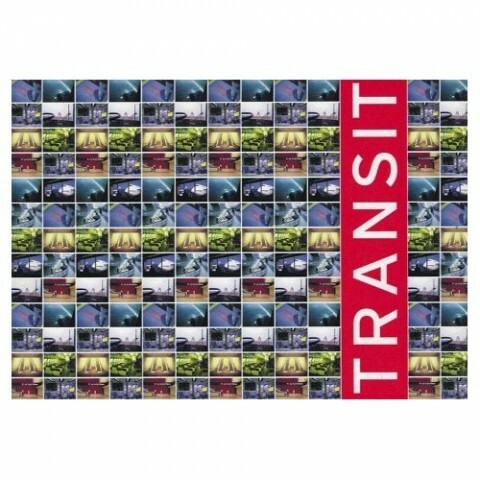 My transit-state-of-mind made me think of this fabulous book: TRANSIT , by Marco Brambilla. It’s composed of color photographs taken in and around national and international airports, where the film director Marco Brambilla has taken images from the highly coded systems and endless architectural stop and go points of the modern airport. These photographs celebrate the ordinary, elevating the overlooked utilitarian places of transit to a new level. It’s designed by James Spindler. Have a look at this, next time you’re in a book store, it’s a real gem.